Helps heal raw, irritated skin PLUS hard-to-heal rashes and sores. 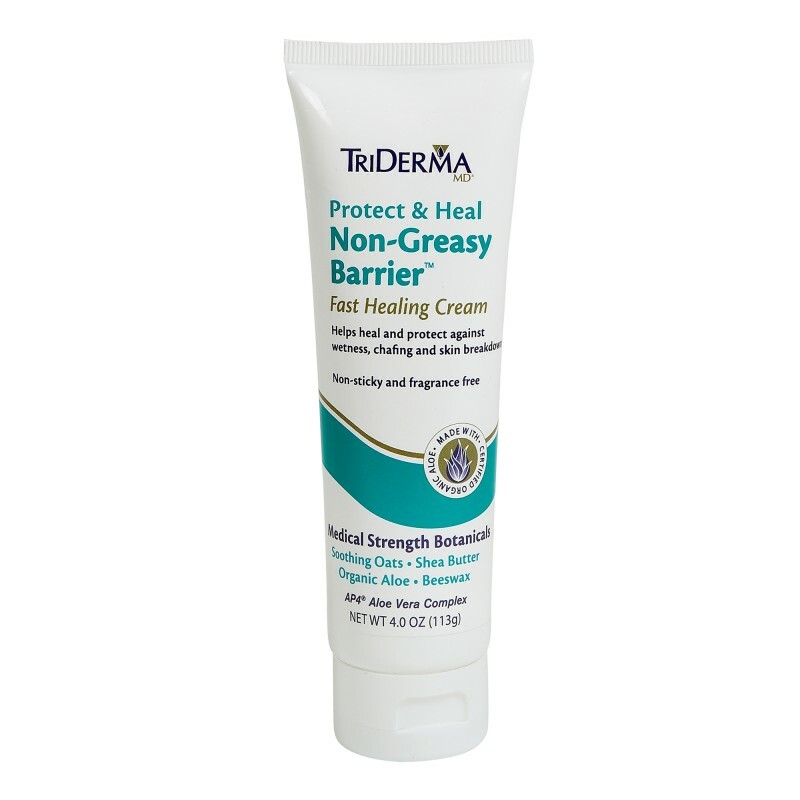 Contains maximum strength ingredients, soothing botanicals and vitamins for fast relief. Made with clinically proven skin protectants to provide long lasting protection against chafing, chapping, cracking and skin breakdown. 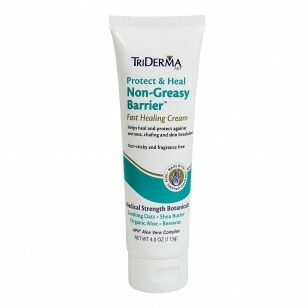 Triderma was the first brand I had used for the little one's first diaper rash breakout. I put it on twice in one day and by the next day it was gone! The cream is not greasy, applies easily and obviously works very quickly. Being a first time mom and not knowing what brands are or are not good, having the first brand being tried and having it work like a miracle is a small life saver. Now that I know how well it works I don't have to keep trying different brands and hoping for the best. I know this works and I can order it from home whenever I need it. I say a huge thank you to Triderma for making my life just a little bit easier. Gently clean the irritated area before use. Then apply a generous layer of cream. It can be left on thick or rubbed into skin. Use as many times a day as necessary until healed. For continuous protection and healthy skin, use daily. aloe barbadensis (aloe) leaf juice*, butyrospermum parkii (shea butter), glycerin, glyceryl stearate SE, beeswax, cetearyl alcohol, carthamus tinctorius (safflower) seed oil, avena sativa (oat) kernel flour, polysorbate 60, polysorbate 80, cetyl esters, zinc PCA, sodium PCA, panthenol (vitamin B), tocopheryl acetate (vitamin E), glyceryl stearate, silica, sodium hyaluronate, sodium phytate, potassium cetyl phosphate, xanthan gum, phenoxyethanol, ethylhexylglycerin.